One of the best ways to ensure that the concrete floor in your garage looks its best and lasts for a long time is by sealing it. There are a variety of different concrete floor sealers that you can use in your garage to protect it, each of which offers distinctive advantages and disadvantages. Here are a few of the options to consider as well as a look at some of the pros and cons of each to keep in mind with information from All Garage Floors. 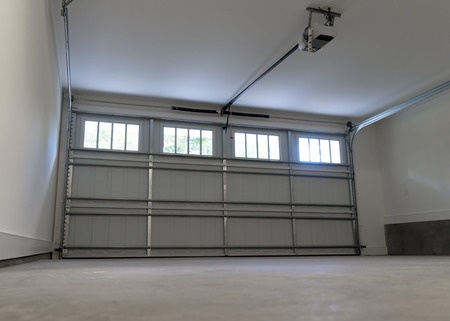 An epoxy garage floor sealer can protect the concrete floor in your garage from gasoline, oils, road salts, chemicals, water and more – perfect for the kind of conditions that most garage floors need to endure. Epoxy floor systems are also known for being hard to chip or scratch, and they can prevent spalling from occurring in the winter as a result of freeze-thaw damage. Additionally, an epoxy seal can last for as long as 15 years if applied correctly. It’s why many commercial companies use epoxy concrete sealers in warehouses, showrooms and more. However, this high resistance and long life comes with a higher price – epoxy sealant is typically more expensive than some of the alternatives. In addition, it can also take several days to install an epoxy sealer and allow it to cure, depending on the size of your garage. If you want the concrete floor in your garage to look glossy, an acrylic sealer will get the job done. When you put this sealer down on a bare concrete floor, it will instantly make it look a lot better, and it won’t take very long to install or cost you a fortune. It’s a great option for a partially finished garage or hangout space where you’ll be spending time socializing instead of parking your vehicles. However, acrylic doesn’t protect concrete floors from oil, chemicals and other substances as well as epoxy does. That means in a typical garage, acrylic sealant will need to be reapplied regularly – often once every one to two years. Not everyone wants or needs the glossy look that acrylic sealers will provide. For those people who don’t mind a concrete floor that looks like well, concrete, a penetrating sealer is a great option. It’s designed to penetrate deep down into the concrete while forming a sealed barrier at the concrete’s surface. While penetrating sealant won’t provide the looks and sheen that other sealers deliver, you can count on this seal to last for several years and protect your floor from the elements and stresses of garage use. Are you interested in installing a new concrete garage floor or do you need help bringing your old concrete garage floor back to life? Templin Concrete Construction can install, seal and care for concrete garage floors throughout east-central Minnesota. To learn more, call us at 612-388-1945 today and find out how you can improve the concrete floor of your garage.